Filtermist still sparkling at 50! Established in 1969 and now part of the Absolent Group, Telford based oil mist removal specialist Filtermist International, is celebrating 50 years in business this year. As well as being widely recognised for effectively removing oil and coolant mist from workshop air, Filtermist units are also used by many of the world’s leading aqueous parts wash machine manufacturers to capture and contain potentially damaging steam generated in the wash process. Parts washing applications require the highest standards of both cleanliness and dryness - even the slightest contamination can significantly impair component quality, which in turn can impact on the performance of the machinery which the component ends up in. And it’s not just quality that can suffer – machine operators may also be exposed to airborne contaminants contained within the steam if effective extraction is not used. Filtermist’s Director of Group UK Sales, Ian Woodward, comments: “Steam and mist produced as a direct result of heating water and detergent to very high temperatures can be contaminated with oil mist particles, swarf and detergent which can be damaging to health. Excessive moisture in the atmosphere can also harm equipment and electrical systems. Whilst many aqueous parts washers offer excellent standards of component drying, the temperatures reached during the wash cycle can result in mist and steam which can lead to condensation and rust, and become a health hazard if not properly addressed. Filtermist has predominantly focused on working with machine tool manufacturers and operators over its 50-year history, but this year for the first time ever, the company’s German team will be taking part in the Parts2Clean show in Stuttgart to demonstrate Filtermist’s potential in this application. Filtermist units are located on the top of the wash machine, ensuring mist is collected at source before it has the opportunity to permeate throughout the factory. Spinning at a rate of 2850rpm (at 50hz) and 3420rpm (at 60hz), the centrifugal drum collects tiny particles of water and forces them together to form larger droplets which are then collected and removed, or returned to the wash machine depending on the nature of the application. Particles of cleaning agents which could otherwise enter the air are also removed at source, ensuring workers are not exposed to any microscopic particles which could potentially be harmful to their health. 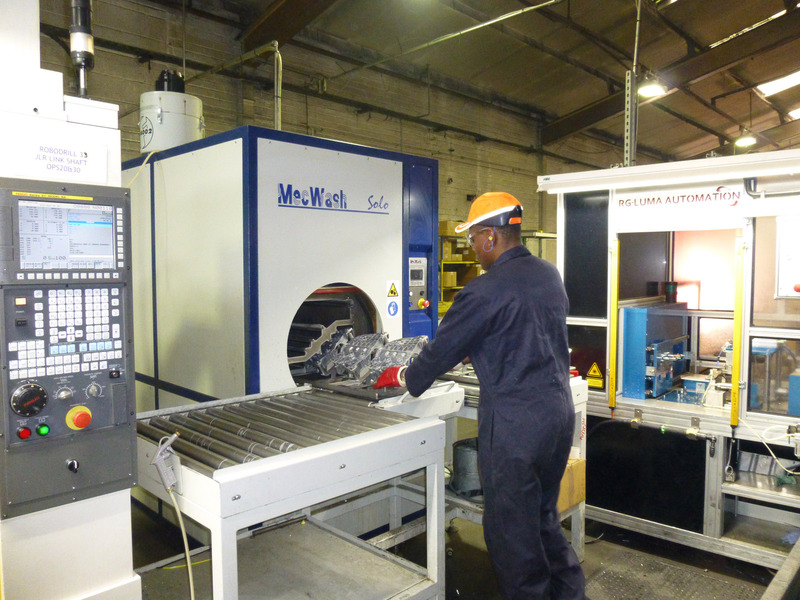 The material used to manufacture extraction units used in parts washing is vital; mild steel Filtermist units can be used in applications where the fluid contains a rust inhibitor – for all other applications, or where legislation dictates the use of stainless steel, such as food production, Filtermist’s entire range can be provided with stainless steel drums and outer casings. Find out more by visiting www.filtermist.co.uk, or call the sales team on 01952 290500 to discuss how Filtermist units can effectively remove steam and mist from workplace air.